Who is hurting the hobby? I write this blog from the perspective of a collector. I champion the collector. I think that collectors are the most qualified to determine the direction of the hobby. The collector is the consumer and the consumer is almost always right. When it comes to helping with the direction of the hobby dealers should also have a say. Their input is important. But they should be there to support the collector because without collectors the dealers have no business. Dealers should not be dictating the direction of the hobby. Recently, I was listening to The Coin Show podcast hosted by Matt Dinger, a dealer in Indianapolis, and Mike Noodle, a collector that says he works in a coin shop (I think he said it was a part-time gig), and became very concerned when Matt said that the U.S. Mint was hurting the hobby. Regular listeners to The Coin Show knows that Matt is not a fan of modern coins and the products of the U.S. Mint. In fact, during the last show, he admitted to not carrying American Eagle coins because he does not want to support the U.S. Mint in damaging the hobby. During the podcast, Mike came to the defense of U.S. Mint collectors but that defense was tempered when he said that collecting U.S. Mint products was for beginner collectors and that it was a way to start before the collector “graduate” to other collectibles. I have questioned Matt and Mike in the past on Facebook but this time I felt their statements crossed a line. My regular readers know I can get hyperbolic but I try to remain respectful. As it happens on Facebook and anywhere else on the Internet, people cannot take the words at face value and have to read something into them. This time I emphasized that not only do I collect U.S. Mint items but have not “graduated” to the type of collectibles Mike and Matt proclaim to be real collectibles. New readers can go through this blog and see how my collection can be classified as normal to eclectic. After a lot of angry discussions (you will see a sample below) and some churlish responses from others (not Matt or Mike), I finally coaxed out the reasons for Matt’s hatred of modern U.S. Mint products. Unfortunately, it seems his reasons have more to do with the industry than the U.S. Mint. According to Matt, the U.S. Mint is harming numismatics by selling annual sets like proof and mint sets at the prices they set. During the Facebook discussion, Matt and Sam Shafer, another Indianapolis-area dealer, said that they believe the U.S. Mint’s prices are too high. From their perspective as dealers, they claim it is the U.S. Mint’s fault for the differences between the manufacturer’s suggested retail price the secondary market. Using that logic, can I blame Chevrolet for the secondary market price of the 2014 Silverado I just purchased? If I tried, General Motors would laugh me under the tonneau cover of the truck! Yet, coin dealers are applauded for applying the same logic. This does not make sense. How can you blame the manufacturer for the secondary market’s reaction? I guess if General Motors followed that logic, they would stop making trucks! But we are talking about collectibles. In that case, Topps, Fleer, and Upper Deck should stop producing baseball cards. This is only an argument by dealers who would rather sell what they like and not take a broader view of the collecting market. In my new life, I am a collectibles and antiques dealer. The items I buy are either from the secondary market or I buy new items from manufacturers such as comic book and baseball card publishers. This 1901 $10 Dollar Lewis and Clark Bison note (Fr# 122) was sold by a dealer at an antiques show by a dealer not complaining about the collecting market. I have been in antiques and collectibles market as a part-time dealer for 10 years. During that time I have been selling at antique shows, flea markets, and online. I have met and spoken with dealers about the market and its volatility. Everyone I speak with survived the Great Recession of 2008. What I learned in these discussions is that ONLY the numismatic industry demands that its collectibles rise in value. If the coin does not increase in value it is not because the market has spoken. It has to be someone else’s fault. After all, these dealers have to be right so it must be the U.S. Mint’s fault. The vast majority of dealers are very good and very reasonable. Many do understand the view of the collector and work with them. However, there is a subset of dealers that can be some of the most stubborn business people I know. They refuse to change with the market. Even if the market is not looking for their niche, they will not adapt to the market. Their mind is made up do not confuse them with facts. With all due respect, I do not need to be a dealer to know that not changing with the times is doing more to hurt the hobby than the U.S. Mint is by doing its job. Another argument is that the U.S. Mint has too many programs. Are they kidding me? Have they looked at the offering by the Royal Canadian, New Zealand, and Royal Mints? When was the last time they looked at the websites of the Perth Mint or the Pobjoy Mint? Comparatively, the U.S. Mint’s catalog looks bare! 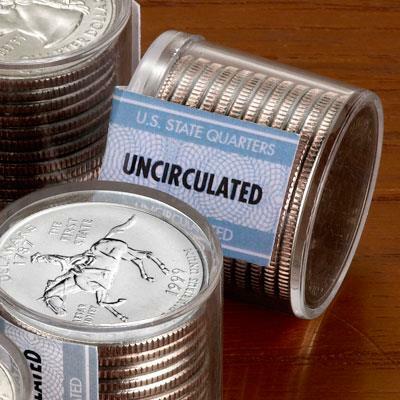 The U.S. Mint does not offer dozens of non-circulating legal tender (NCLT) coins. U.S. Mint coins are struck and not painted. The U.S. Mint does not offer piedfort version of circulating coins or even coins guilt in gold or palladium. The U.S. Mint does not make deals with movie production companies, comic book publishers, or soft drink manufacturers to issue branded coins. Every coin that the U.S. Mint offers for sale has an authorizing law limiting what they could produce. According to those laws, the U.S. Mint has to recover costs and is allowed to make a “reasonable” profit. But what is reasonable? This is a question that has a lot of valid arguments on both sides. However, the U.S. Mint is subject to oversight by the Treasury Office of the Inspector General (OIG) and, occasionally, review by Congress’s Government Accountability Office (GAO). Neither oversight agency has produced a report saying that the U.S. Mint’s prices are unreasonable. The U.S. Mint is selling what they manufacture at a price that the competent oversight agencies have not complained about. The only one complaining is by the dealers in the secondary market. Why are these dealers complaining? It does not take a rocket scientist to understand why a dealer would write that. A dealer makes more money selling Morgan dollars than modern coins. It is about business, not about what the U.S. Mint is doing. It is also a very reasonable response if the dealer would own up to the fact that it is about the impact to their business. Blaming the U.S. Mint is like crashing into a wall and blaming the wall for being there! This is a strong statement, even if you discount the placement of inanimate objects into bodily orifices they do not belong. What has the U.S. Mint done to cause “devastation?” The U.S. Mint sells products to those who want to buy them. You are not forced to buy from the U.S. Mint. By Sam’s logic, it is the U.S. Mint’s fault that someone speculated and the investment did not pan out? Whose fault is that? Who told someone that buying these sets would be a good investment? Not the U.S. Mint! Where does the U.S. Mint say in any of its publications or website that coins make a solid investment? How could these speculators have come to this conclusion? The U.S. Mint goes out of its way to avoid participating in the investment market. They do not represent any of their products as investment grade instruments. This is why the U.S. Mint does not sell investment bullion directly to the public. The government sells these products to distributors who will then sell to the dealers that will sell them to the public. The government is not involved in the price speculation of numismatic items. The U.S. Mint does not even acknowledge historical and aftermarket pricing for the items they manufacture. The U.S. Mint sells collectible coins. They do not sell investments. Over the years, I have received more complaints about dealers than allegedly worthless State Quarters or the U.S. Mint’s annual sets. But why are coins allegedly worthless? Did the U.S Mint make claims that these one-time-only coins are really special and that they would be the greatest thing since sliced bread? 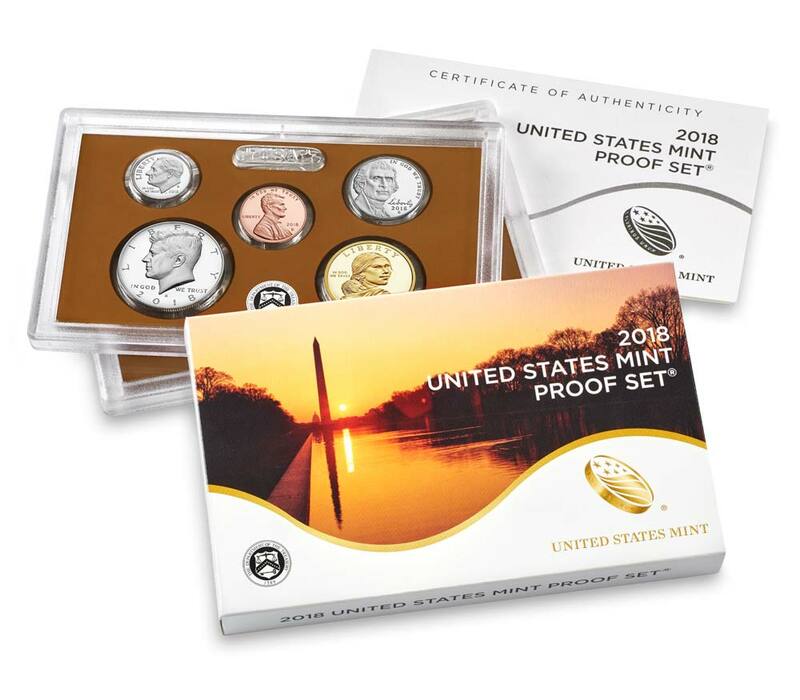 Did the U.S. Mint create rolls in sonically sealed plastic holders and tout them as the next great collectible? Did the U.S Mint create books, boards, folders, albums, maps, touting this as a once-in-a-lifetime way to collect? All this came from the secondary market. Who runs the secondary market? DEALERS! DEALERS set the values for the coins based on what they sell them for. DEALERS take coins and entomb them in sonically sealed plastic holders saying that this is how you should be collecting. They tell you one encapsulating service is better than another and then make you pay different prices if you use a service they do not like even if the number assigned as a grade is the same on both pieces of plastic. 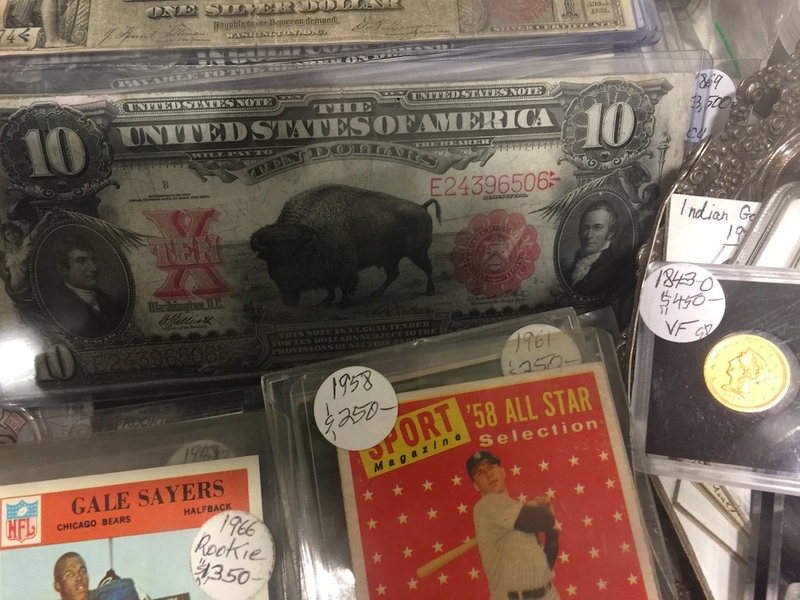 DEALERS have convinced an entire class of collectors that if they do not have a plastic holder with this new, whiz-bang label that their collection is not complete. DEALERS have also complained about whose name and image have appeared on some of those labels. DEALERS genuflect when someone puts a shiny green sticker on a plastic holder as if it was blessed by some deity. They prostrate themselves if the plastic holder is granted that divine gold sticker! After preaching this gospel to their flock, you are considered a heretic if you question the validity of the sticker and the motives of the sticker maker. While the U.S. Mint is not perfect, the problems with the numismatic market have not been created by a tightly regulated government bureau. The problems come from the secondary market whether they are overstating the values of these items or demeaning collectibles that they cannot make a hefty profit on. Maybe it is time for dealers to look in the mirror and ask whether the U.S. Mint is hurting the hobby or maybe they are refusing to recognize the problem is right in front of them. Lots of good points here. As a dealer, first and foremost, I agree that the hobby belongs to the collector. And, as a dealer, I do think that dealers can act in a positive way by advising (not bullying) collectors. That said, collecting is a very personal experience and collectors should collect what they want. In my own (personal) opinion, I have mixed feelings about various national mint offerings. The real damage to the hobby, however, is mostly done by private mints. For example, I believe proofs and proof sets are nice to look at but poor value for money in most instances. This is because they are (typically) sold a very high premium and are produced in large numbers and collectors can feel cheated if / when they try to sell them. 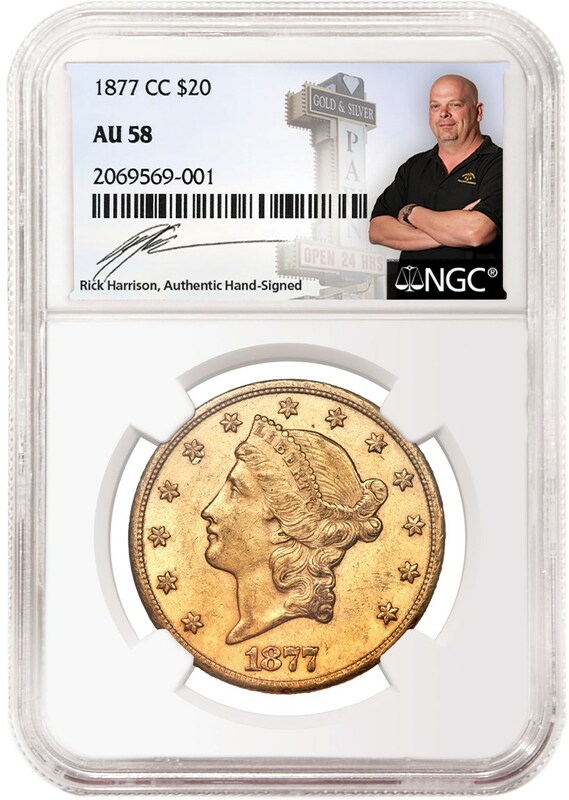 and the collector learns about mintage, grading and survival rates (the collecting basics). insofar as it is not a numismatic opportunist like the British Channel Islands, Gibraltar, the Isle of Man, San Marino, Vatican and sparsely populated Pacific and Caribbean islands producing ‘dubious’ thematic issues. I totally accept the legitimacy of proof coins that circulate but I have a real problem with coins that are ONLY available direct from a mint, e.g. coloured coins, photographic coins and science fiction-themed coins that do NOT circulate. I avoid buying them in and, if asked, I cannot recommend them … but I am not rude about it. This brings me back to the original point, i.e. the hobby does belong to the collector. The second (quite separate) issue dealt with in this article concerns ‘slabbing’ and this is a bit of a hot potato for collectors. i.e. it is only worth your while to do it for expensive items. Secondly, I am horrified that so-called numismatic professionals are making such a mess of grading. Finally, slabbing is for investing in something you know little about.